Blair Trewin is an Australian climate scientist. His specialist areas are the development of long-term historical data sets for the assessment of climate change, and the analysis of extreme events, both current and historic. 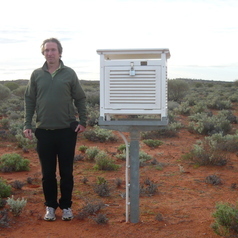 He was the lead developer of the main long-term Australian temperature data set, ACORN-SAT. In the international sphere, he was the scientific coordinator of the World Meteorological Organisation's annual Global Climate Statement in 2016, and is a member of the WMO's Task Team on Homogenisation. He was also President of the Australian Meteorological and Oceaonographic Society in 2012-14.